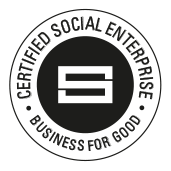 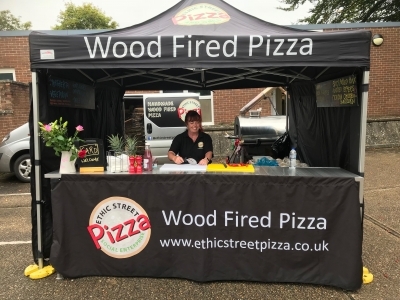 Ethic Street Pizza | Amazingly tasty wood fired pizzas and other delicious food! 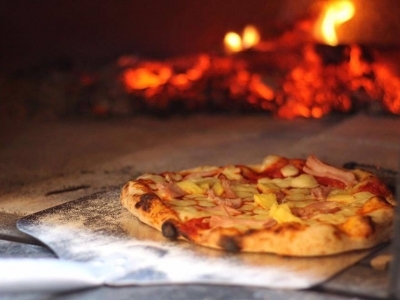 Ethic Street Pizza make amazingly tasty wood fired pizzas and other delicious food. 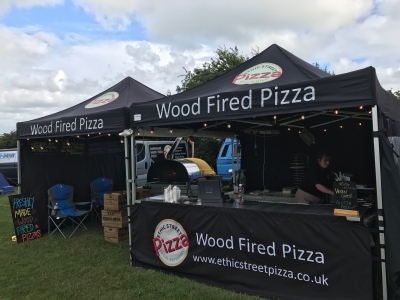 We love using our three wood fired pizza ovens and our professional BBQ to exceed your expectations of our food and our service. 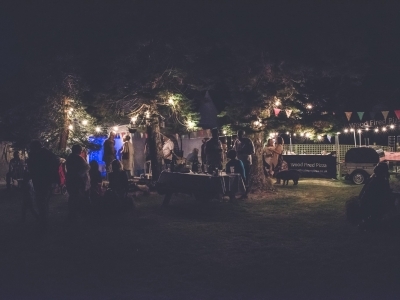 We also delight in making scrumptious salads and desserts to fully complement your event. 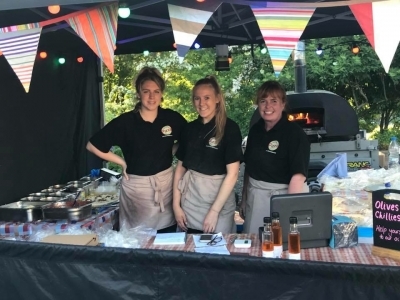 By using local products and listening to our customers’ feedback we have created a menu of delights that we are told are the best people ‘have ever tasted’. 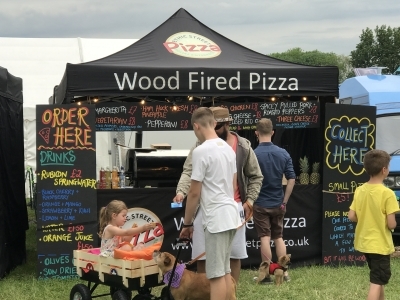 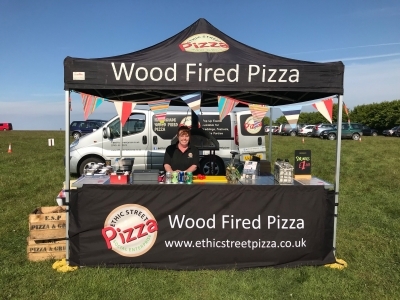 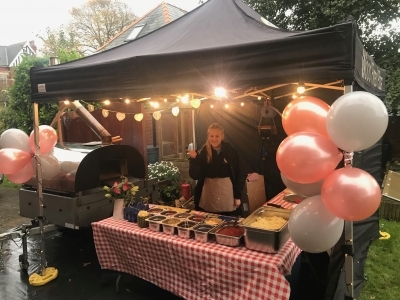 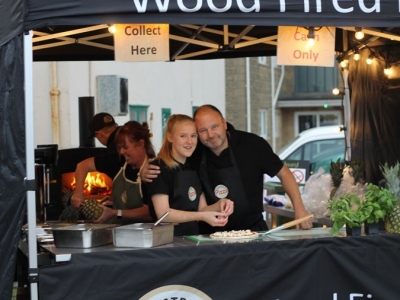 Our pizza and grill service is available for events including weddings, festivals, fayres, corporate hospitality and anything else where people want quality food made and served by a professional and dedicated, yet chilled team! 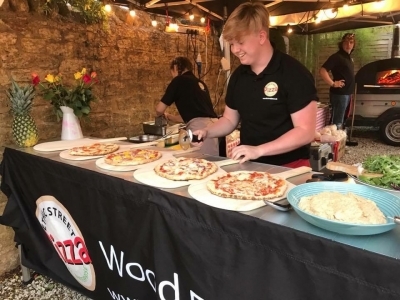 We love visiting Hook Farm in Lyme Regis to cook their guests pizzas. 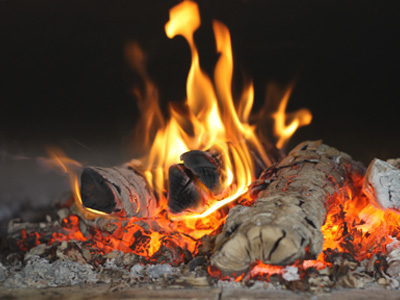 Click Pizza Hook Farm for our pizza night menu! 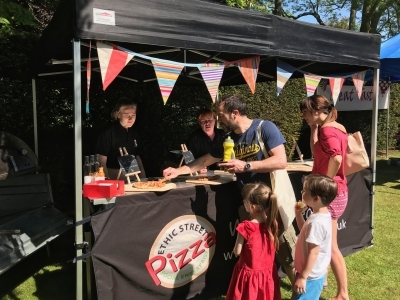 We now operate from the recreation ground on MONDAY evenings selling pizzas, drinks and a small tuck shop. 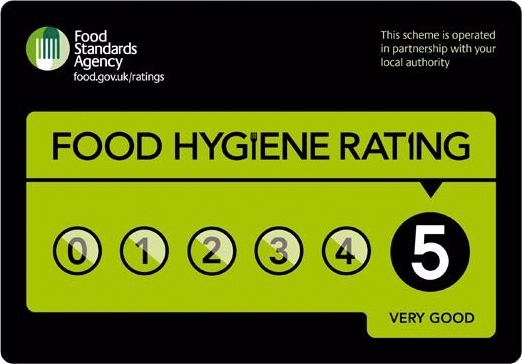 Opening times at 5.30 until 8 throughout the autumn and winter with extended hours when spring has sprung! 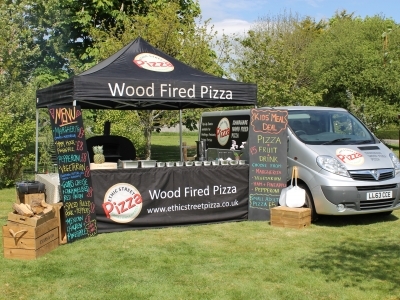 We will even deliver for free within 3 miles of the Rec. 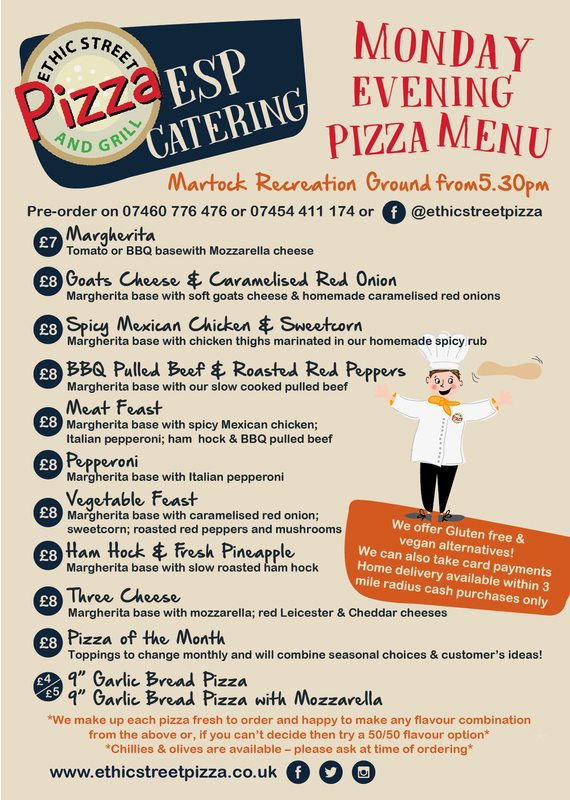 Click Monday Evening Pizza Menu for our menu!